The InterContinental New Orleans is now accepting reservations for NLGJA’s 2019 National Convention! There are a limited number of rooms available in the NLGJA room block, so reserve soon to make sure your spot is secure. Rooms can be booked for as low as $145 per night! Don’t miss out on the action and reserve today. NLGJA’s National Convention is August 29 to September 1. NLGJA is now accepting nominations for its LGBTQ Journalists Hall of Fame. Please consider submitting nominations for consideration. The inductees will be honored during the NLGJA National Convention in New Orleans, August 29 – September 1. Know your HIV status. 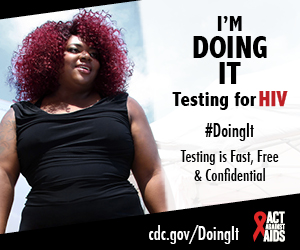 Get tested! NLGJA is #DoingIt. Are you?